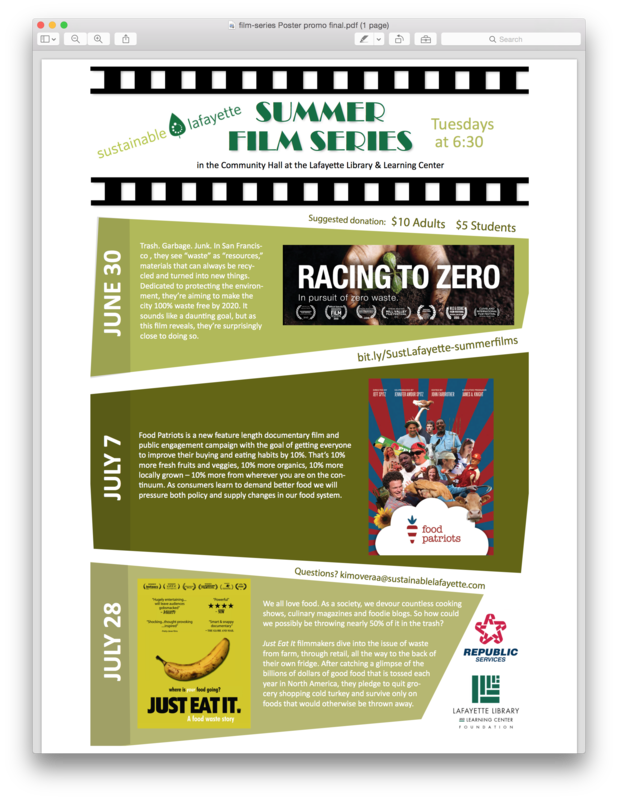 For the fifth year in a row, Sustainable Lafayette will be hosting a summer film series at the Lafayette Library & Learning Center featuring three recently released documentaries. These award-winning films will be shown on weekday evenings in June and July. See movie descriptions and event info below. All movies will run from 6:30p to 8:30p in the Community Hall. Free snacks, cookies, coffee, and refreshments will be served at each movie and special guest speakers will be included when possible. $10 donation requested. $5 for students. For more information, visit Sustainable Lafayette.